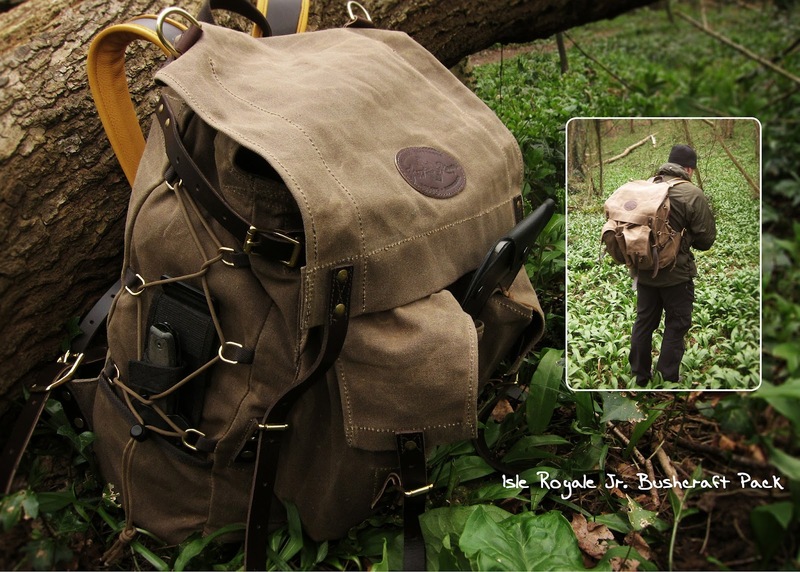 With the popularity of bushcraft quite a few traditional style backpacks are on the market besides the old favourite bergen style backpacks. These range from quality offerings from Fjallraven to some hand-made and more expensive specialty backpacks. While I would say some of these new backpacks are little more than a fashion accessory and not particularly practical for backpacking, some are exceptionally well made as well as being highly functional. With this in mind I have recently had the chance to use an example of the latter made by Frost River called the Isle Royale Bushcraft Pack. First impressions of the backpack are that this is indeed a high quality product and built pretty much like a tank. Weighing in at a hefty 2.5 kg this is not a light backpack but the pack itself is surprisingly roomy. This version is the junior version and it also retails in a larger senior version. At a guess I would say this pack is roughly about 50 cubic litres which provides ample room for an overnight or weekend trip. 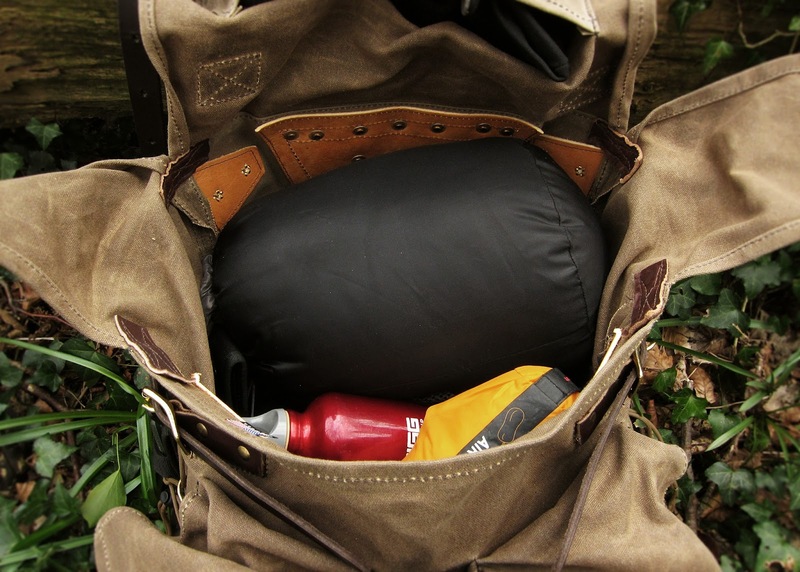 The pack has also two large external pockets, easily room enough for a couple of one litre water bottles as well as an internal pocket on the inside of the lid. On the external sides of the backpack there is also pockets with compression straps. 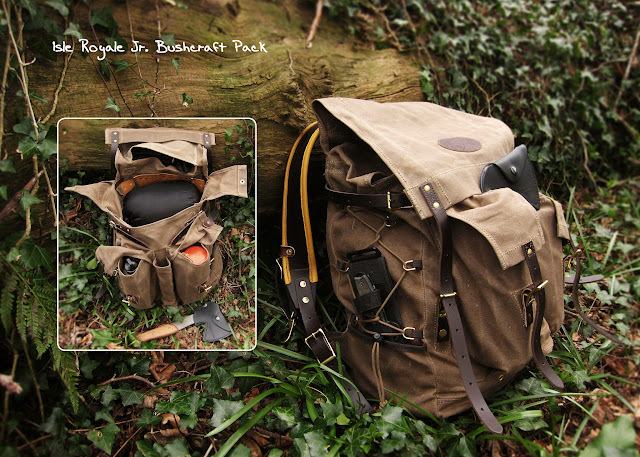 I do like the design of the backpack where they have put the large external pockets on the main body rather than to the sides as this makes travelling through dense undergrowth easier and less likely to snag. Between the two external pockets is a hatchet/axe sleeve. Also, behind each of the external pockets, there is another deep pocket, each with a brass grommet drain hole in the bottom. Further capacity can be gained from the sturdy lash points from the bottom on the bottom of the pack. Every single attachment point, buckle and seam on this backpack has been designed extremely well. All buckles and d-rings are made of solid brass and the straps are made of high quality leather. The main backpack shoulder straps themselves are made with padded leather wrapped in deer hide and there is also an adjustable leather sternum strap. When I field tested the backpack I was carrying approximately 10 kg which consisted of a standard overnight trip (tarpaulin, sleeping bag, sleeping mat, spare clothes, food and cooking utilities etc.). I found the backpack pretty comfortable to carry, however, the backpack does not have a hip belt so all the weight is carried on your shoulders. So this backpack is not really designed for heavy haulage or long distance trips. Summary, this is an exceptionally made and robust backpack and would appeal to bushcrafty types who are looking for a traditional style backpack. The backpack overall remains highly functional, purposeful and uncomplicated. Exceptional quality, good functionality, durability, materials and design. 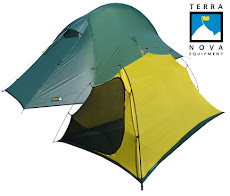 Weight, but then again it not designed for lightweight backpacking. Lacks a hip belt which would affect its use for heavy haulage and long-distance trekking. Overnight and weekend bushcraft style trips, short haulage and canoeing. Compression system: Leather strap and buckle, para cord and d-rings. Thanks for this review it helped allot! When you say weekend trip, do mean it can carry enough for a three night hike? 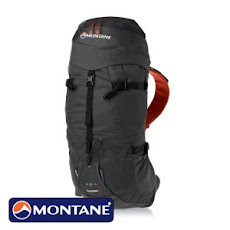 Do you have a recommendation for a pack just like this, PLUS a hip belt? Gloria: The larger model of this pack comes with a hip belt. I love mine, I also purchased the 18" Pack Basket and it fits perfect inside giving the bag some structure. Pack everything in it and when you get to camp, use the pack basket for fire wood, etc.